Following his Ph.D., Stan was an Assistant Professor in the Department of Mathematics and Computer Science, Warsaw University. He joined University of Guelph in 1977, and Acadia University in 1980. Since 1981 at the University of Ottawa, as of 2011 a Distinguished University Professor (on leave). For many years in charge of graduate studies in Computer Science at the University of Ottawa, and a founding father of the Graduate Certificate in Electronic Commerce at University of Ottawa in 1999. 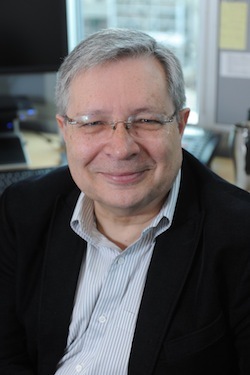 Also affiliated with the Institute for Computer Science of the Polish Academy of Sciences as a Professor, Stan has worked at universities in the U.S, Europe, and Latin America. Recognized internationally for his work in text mining, applications of Machine Learning, and data privacy, author and co-author of more than 250 research paper. Former president of the Canadian Artificial Intelligence Association (CAIAC) and of the IFIP Working Group 12.2 (Machine Learning). Stan has significant experience and interest in innovation and technology transfer. One of the founders of Distil Interactive Inc. and Devera Logic Inc.
Dr. Raza Abidi, PhD is Professor of Computer Science, Professor of Medicine and Director of Health Informatics at Dalhousie University, Halifax. He leads the NICHE (kNowledge Intensive Computing for Healthcare Enterprises) research group. He conducts research in data- and knowledge-driven methods targeting computational intelligence. His research interests span semantic web, data analytics and health informatics, with applications in healthcare. 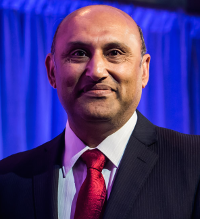 He is the recipient of the Canadian Health Informatics Leadership Award, International Award for Innovation in Medical Informatics and Research Excellence Award. His passion is to develop innovative digital health solutions to provide lifetime healthcare to all. Dr. Qigang Gao, PhD is a professor of FCS at Dalhousie University (joined Dal in 1993). He received both MASc and PhD degrees from the University of Waterloo, Canada in 1988 and 1993 respectively. His research interests include pattern recognition and machine intelligence, visual perception modeling for image coding and mixed reality, data mining and data warehousing. 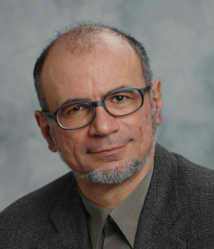 Dr. Evangelos Milios, PhD received a Dipl. Eng. from the NTUA, Athens, Greece, and Master's and Ph.D. degrees in Electrical Engineering and Computer Science from the Massachusetts Institute of Technology. Since 1998 he has been with the Faculty of Computer Science, Dalhousie University, Halifax, Nova Scotia, where he served as Director of the Graduate Program (1999-2002) and as Associate Dean - Research (2008-2017). He is a Senior Member of the IEEE. At Dalhousie, he held the Killam Chair of Computer Science (2006-2011) and is currently University Research Professor, and Scientific Director of DeepSense, an innovation engine for ocean data analytics. His main research is on modelling and mining of content and link structure of Networked Information Spaces, text mining and visual text analytics. Dr. Sageev Oore, PhD is an Associate Professor of Computer Science at the Faculty of Computer Science at Dalhousie University (Halifax, Canada), and a Research Faculty Member at the Vector Institute (Toronto, Canada). Previously he was a Visiting Scientist on the Magenta team at Google Brain (Ca214lifornia, USA). His research interests include deep learning, generative models and computational creativity. Dr. Mike Shepherd, PhD Professor Emeritus, Dalhousie. Research interestins in Smart Cities. Dr. Marina Sokolova, PhD is an Adjunct Professor at Dalhousie University and University of Ottawa. Previously, she was an Assistant Professor at Faculty of Medicine, University of Ottawa, Scientist at CHEO RI, and an NSERC Post-Doctoral Fellow at Department of Computer Science, U de Monreal. Marina is an Executive of Canadian Association for Artificial Intelligence and serves on Editorial Board of Computational Intelligence. Marina works in a broad area of Machine Learning, including Text Mining, Privacy-Preserving Data Mining and Performance Evaluation. Dr. Luis Torgo, PhD is a Professor of Computer Science at the Faculty of Computer Science of the Dalhousie University, Canada, an Associate Professor of the Department of Computer Science of the Faculty of Sciences of the University of Porto, Portugal, and an invited professor of the Stern Business School of the New York University where he teaches at the Master of Science in Business Analytics.